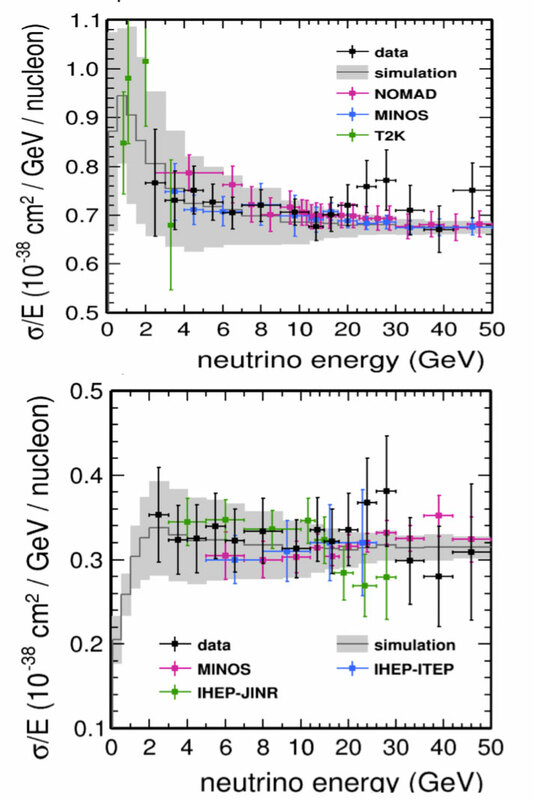 This plot shows the cross section of neutrinos (top) or antineutrinos (bottom) interacting on a plastic scintillator target as a function of energy. Black points are new results from MINERvA and the colored points are the results from earlier experiments. The solid line is the expected value from simulation. Para una versión en español, haga clic aquí. 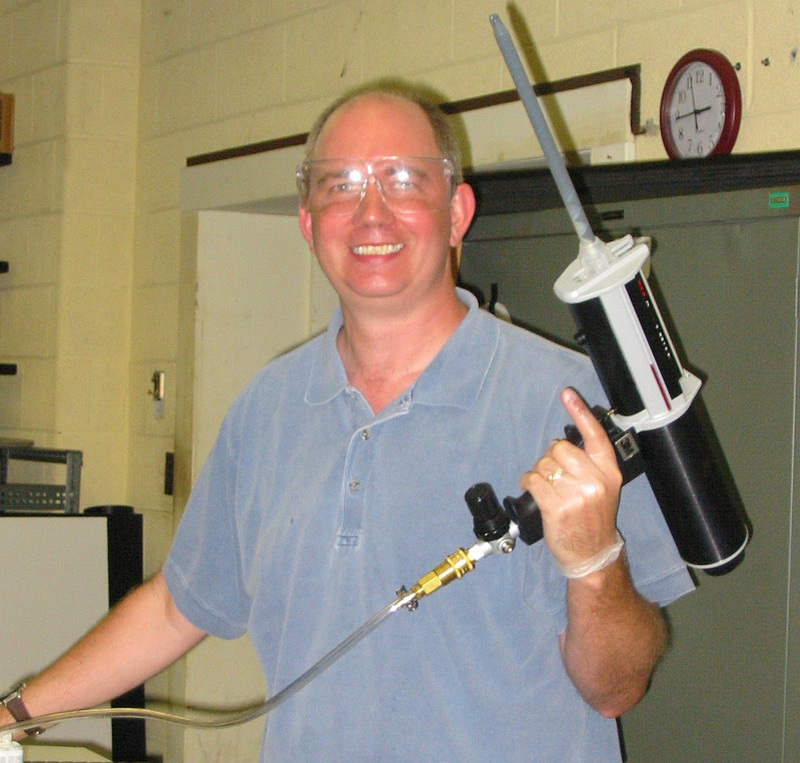 The MINERvA experiment continues to provide measurements relevant to these experiments to help scientists better model these interactions and implement in their simulation. 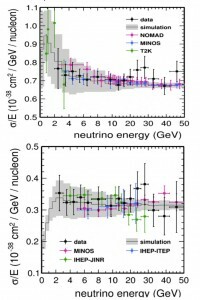 This week’s Wine and Cheese Seminar at Fermilab features a talk from the MINERvA collaboration, presenting its measurement of the total probability that a muon type neutrino (or antineutrino) interacts with the protons and neutrons inside the MINERvA detector via something called charged-current interaction. Dipak Rimal is a physicist at the University of Florida.